The University of California San Diego has been named the 30th best university in the world, out of the top 1,000 public and private universities spanning the globe. The 2019 Times Higher Education World University Rankings also place the campus 20th best in the U.S. based on teaching, research, knowledge transfer and international outlook. The campus moved up one spot, compared to last year. The campus continues to spur breakthroughs in research that not only make headlines, but also positively transform the lives of millions around the globe. For example, engineers on campus recently developed a new wearable ultrasound patch that non-invasively monitors blood pressure in arteries deep beneath the skin to help people detect cardiovascular problems earlier on and with greater precision. Other breakthroughs include the creation of a new biometric tool for newborn fingerprinting which can identify an infant on the first day it is born. This tool can be used for health care delivery, especially in remote or resource-limited areas, and can support efforts in disaster relief, human trafficking, and migration and refugee settlement. Additionally, researchers on campus also recently identified the U.S.’s true social cost of carbon––the measure of the economic harm from carbon dioxide emissions––that can better inform U.S. environmental regulation and rulemaking in mitigating climate change. 2nd best university in the nation, fr promoting upward social mobility, according to Money Magazine. 15th best university in the world by the 2018 Academic Ranking of World Universities (ARWU). 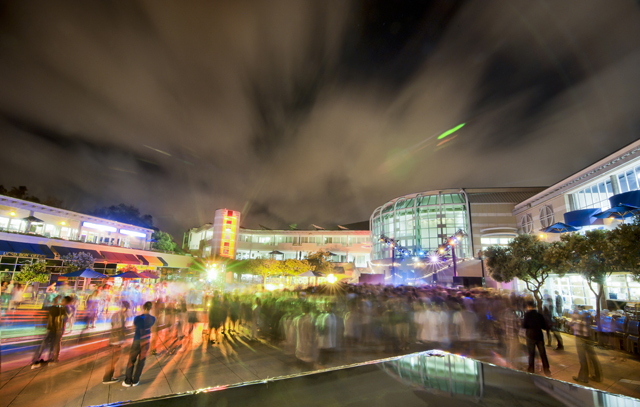 For more information on UC San Diego’s accolades, go to the campus profile. To learn more about Times Higher Education World University Rankings 2019, click here.